This adorable decal has 2 parents and 3 children. It comes in your choice of a single color. If you need the decal in more than 1 color please contact me. This decal has a Dad, Mom, 2 Siblings, and a baby elephant. We also make an elephant family decal with 3 and 4 elephants as well as elephant families with twins and 2 color elephant decals. You can see all our elephant decals in our "Nursery Decals" section of our shop. If you need a decal with more elephants, just let me know and I will make a custom decal for you! Our color chart is in the last photo. 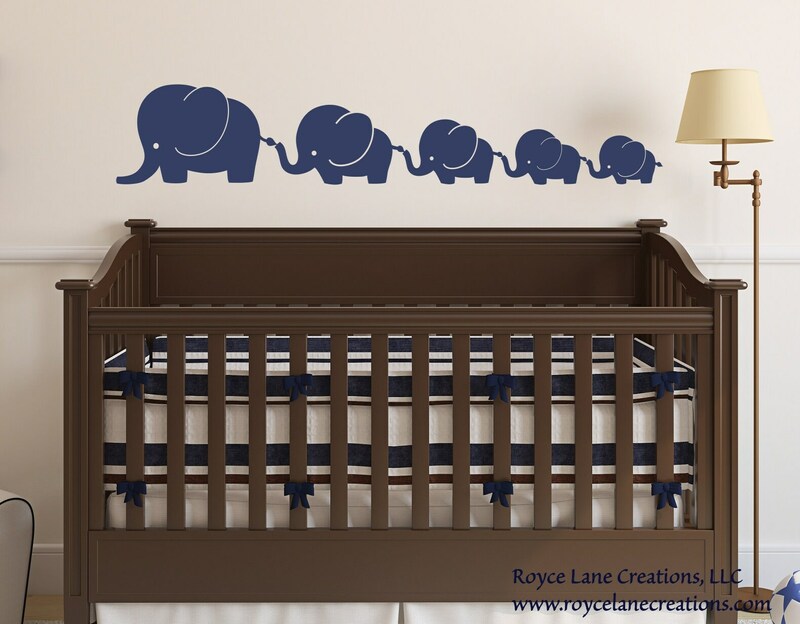 See all our elephant decals in our Nursery section. If you don't see what you are looking for just let me know!